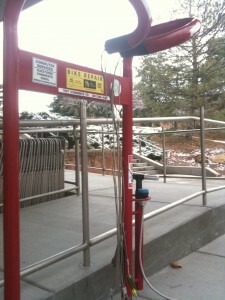 A repair station at the University of Utah. Ogden will get six new stations in spring of 2014 (not the model pictured). The stations will be RAL 6017 May Green in color. The stations were paid for by Ogden City, QBP, and Weber County RAMP tax monies.